Tonath, is a planet in danger of being torn apart. Only one individual will inherit the knowledge to one day save the Tonathian people and her name is Marika. It�s been seventeen years since her father passed. Coming of age she inherits a cattle hold, a trust account, and many gifts. One special gift is the chest, and it comes with instructions that will guide her to the Bergman Mountains. Her gift is a spaceship and the knowledge of three ancient civilizations. Will she have time to access it all or will the Star Shifts hide the information and drive her into the arms of her childhood love. Available for your Kindle and in paperback. 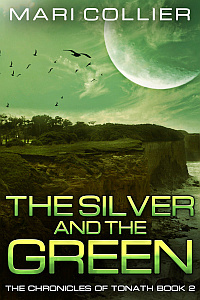 As Brother Amos grows to be the Teacher for all of Tonath, he must stand against the heresies of the Silver Institute in Anoth and the Green Institute in Greenland. Jack Donald has returned to his birth planet, but cannot find proof of long ago documents. Venta Strauss struggles to provide a haven for the poor, and Grant Vidal is the Green Marauder, accustomed to taking what he wants. These are the three people who struggle to find their way in a new part of their world. One will become the new Teacher, one will rescue the older, destitute women on the planet, and one will give his life to save the others. The leaders of the Mechams use the Silver Institute to spread their version of the Star Paths, and the Greenlanders use the Green Institute to spread their version. This means there are fights, wars, raids, love triangles, and people fighting to survive. The third definition of skewed is to look obliquely. That somehow describes my mind as I may see things a bit differently than the rest of the population. To me there is always something more, perhaps something hidden or shaded by another dimension. You�ll meet a boy who doesn�t grow old, a witch that wants to be normal, an Iowa farm woman battling frogs, a vampire that chooses to live in a sunny desert, ghosts, and vampires that are more conventional. Having ignored the orders of his superiors, Jarvis, Maca of Ayran has remained in space looking for the enemy. He has formed an alliance with Lillie, daughter of the Guardian of Flight. After they are attacked by an unknown alien vessel near a De'Chin mining outpost, they come across a mysterious female prisoner who has shocking news about their common enemy: the Draygons. Unable to penetrate the Draygon mind with their telepathic powers, they summon help from the Justine Refuge. What they are about to find out will bring their part of the galaxy to the brink of war and beyond. Then the murders on Thalia begin. 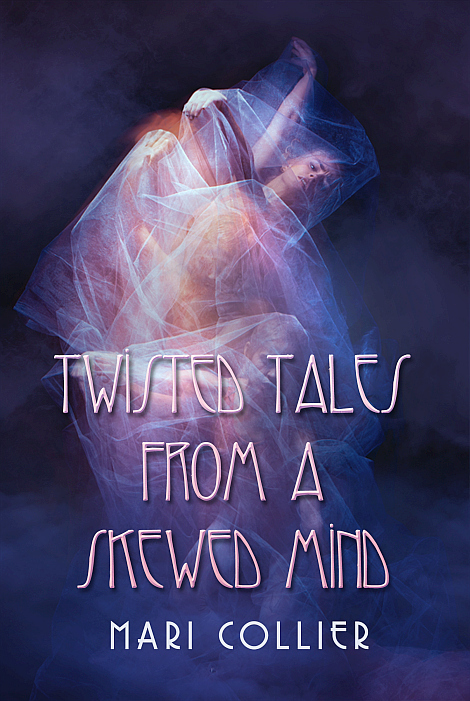 An anthology of short stories with a twisted ending or view. 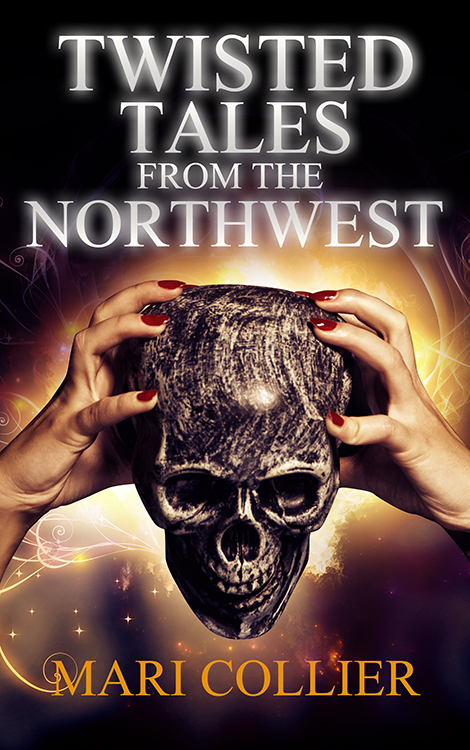 You'll find humor, murders, a love story involving a ghost, an inhabited ghost town, a Fairy Godmother tale unlike you would expect, and more. Thalia has defeated the Justines, the Krepyons, and the Sisterhood. 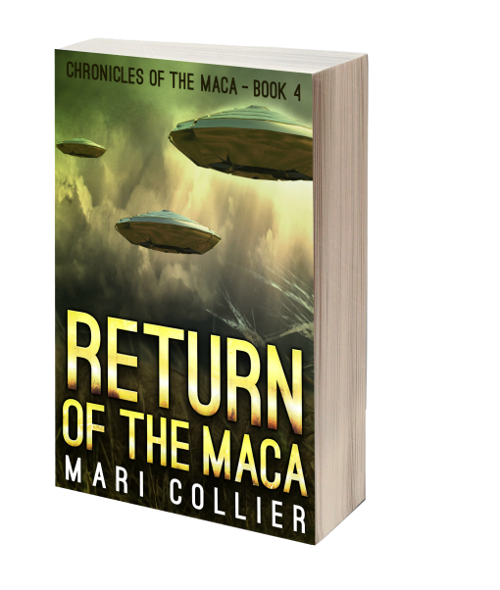 After claiming his Earth son Lorenz, the Maca of Don returns to Earth for a family reunion. But the planet has changed: it's the 1970's, and one of their family members is trying to dismantle their business and take it public. Another has killed four men, and the doctors are beginning to suspect that there's something strange about the MacDonald family. 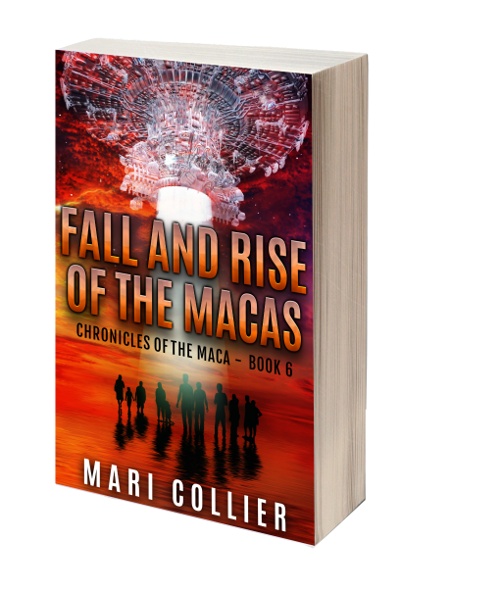 Meanwhile, the newer members of the MacDonald and Rolfe clans are unaware of their alien heritage and abilities, and General MacDonald is carrying a heavy secret of other alien beings. 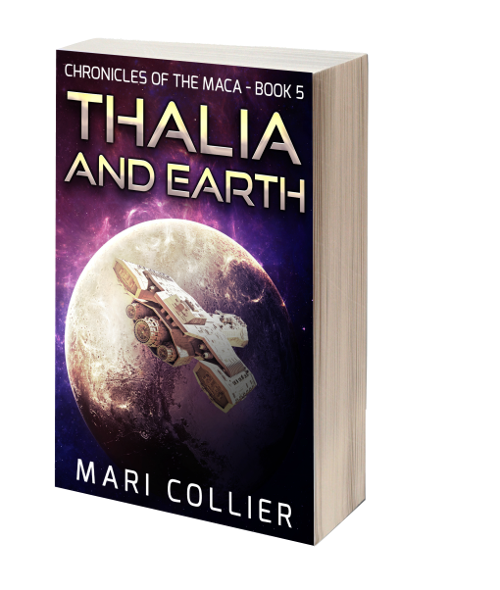 The Maca of Don and Lorenz soon learn that there is a new presence in the galaxy - one bent on conquest and destruction. An exiled Thalian returns to his planet with his Earth family to defeat the Justines and the Krepyons. His part of the Galaxy will never be the same. 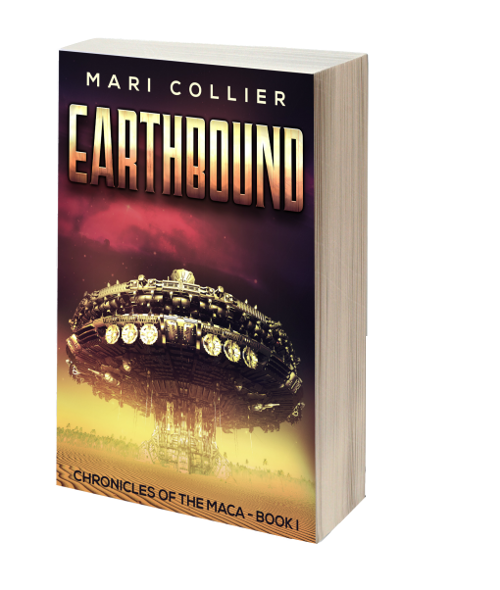 Return of the Maca is the fourth in the series starting with Earthbound (Volume 1), Gather the Children, and Before We Leave. 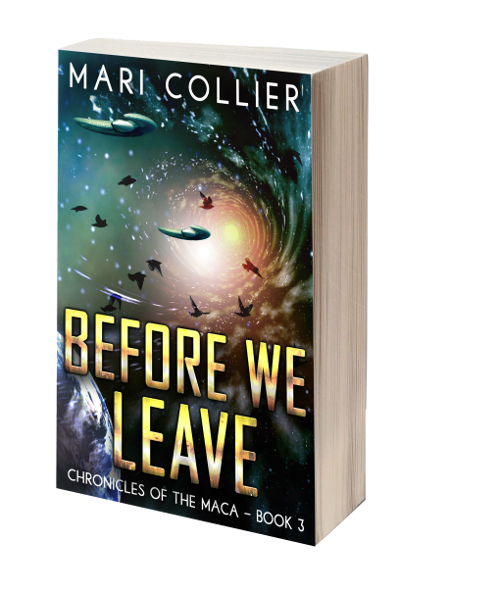 Before We Leave is the saga of the Justine-Earth mutants and the Thalian-Justine Earth descendents living in Texas in 1869 through 1949 when they leave Earth. Red O'Neal, Justine-Earth mutant delivers a punishing beating to his half-brother, Daniel Hunter, for courting Red's Earth sister, Antoinette O'Neal. She is to be sent to a convent until she agrees to marry a much older, wealthier man. Antoinette had managed to send a letter to her betrothed Lorenz MacDonald about her danger. Lorenz rescues her on the journey to the convent. His mother and his adoptive father, MacDonald, the Thalian-Justine mutant, allow the marriage rather than lose Lorenz. The birth of their third child prompts Antoinette to ask Lorenz why he and two of their children have two hearts. He spends the night explaining about ships that do not require sails and beings from other planets. During their years in Texas, the neighboring Rolfe ranch is attacked by Comanche raiders. Antoinette and her mother-in-law, Anna, are able to fight them off until help arrives and before Brigetta Rolfe gives birth to a baby girl. You'll find humor, time travel, a Visit With The Tooth Fairy, a dragon by the name of Flame Mouth, Elvie Fedderman is back, but this time she is fighting a Warlock, there is a wasted planet that uses an auction block to sell it's one exportable product: women It's twelve tales with a twist at the end. 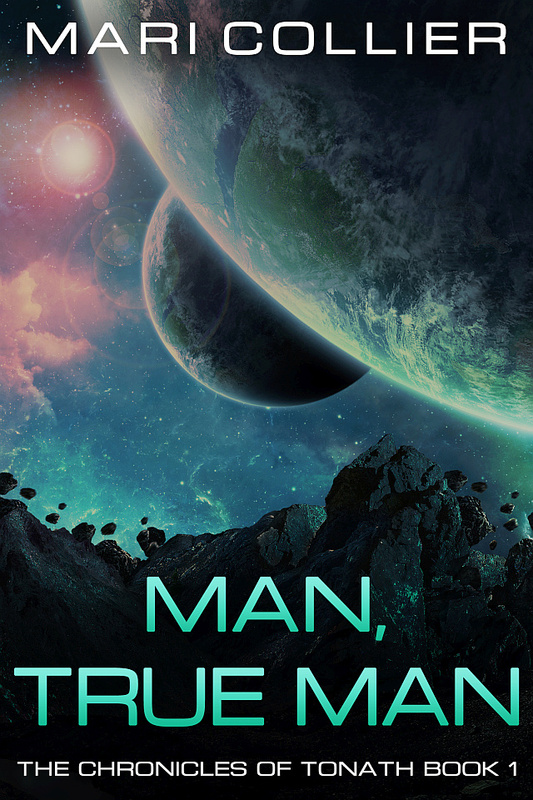 A man with Thalian-Justine genes is marooned on the planet Earth. He has the spaceship and has hidden it in the wilds of Texas. He must survive on this violent planet and return to destroy the Justines and avenge his mother and Thalia. He takes the name of MacDonald and rescues Rolfe during a barroom brawl. He joins Rolfe in the fur trade until it ends. They become traders. When a Kiowa raid destroys their trade goods, MacDonald admits he has gold hidden away. A trip to the spaceship provides funds to purchase a land grant from the State of Texas. MacDonald becomes a Scout for the 2nd Dragoons. 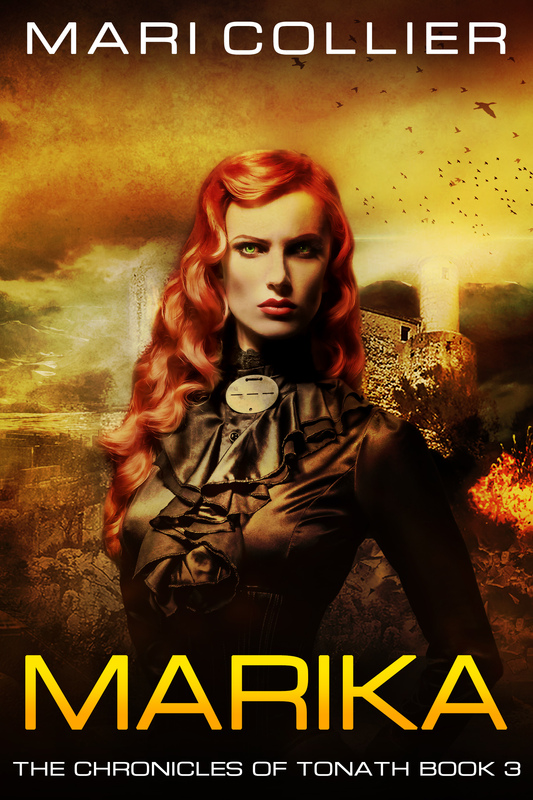 During a raid on a Comanche camp, he rescues Anna, a woman tall enough and warrior enough to match him. Will MacDonald and Anna survive plague, the enmity of their Southern neighbors, a raid on Schmidt's Corner, and the Civil War? Earthbound is the prequel to Gather The Children. Fifteen-year-old Lorenz rides into Arles, Texas in 1865 leading a buckskin horse draped with the body of a wanted man he has gut shot. He intends to collect his reward. He's broke, lonely, hungry and hate-filled. He knows he is a freak with his two hearts and knows that his ability to control the minds of others when he is enraged can't be natural. If he doesn't get the reward, he's ready to kill again. One man stops him: a six foot, nine inch, two-hundred eighty pound man. Here's a blurb from a fellow author: Have aliens from different times and planets settled among us and mixed their genes with ours? 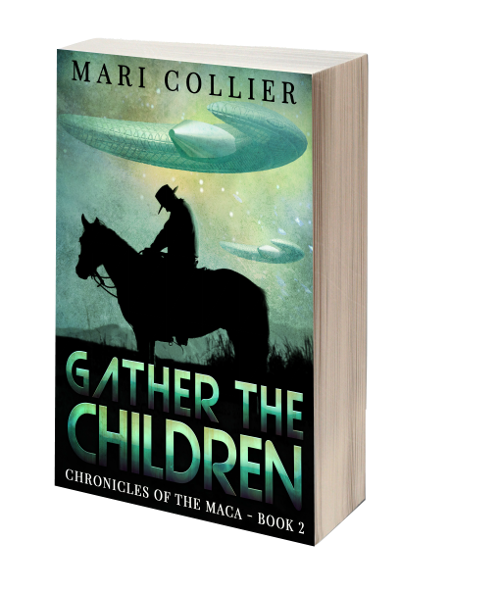 Yes, they have, according to the basic premise of Gather the Children, an action packed novel by Mari Collier set in the troubled times of the cattle country of post-Civil War Texas. Imbedded in a western tale of Indian captivity, bar room brawls, gunfights, and murder is the story of two families of battling aliens attempting to regroup their forces for a return to their homes. The intimate involvement of the aliens with unsuspecting humans complicates the situation and creates a suspenseful page-turning tale. By Norman Rudnick, author of The Murder of Eleanor Lindquist and The Hayward of Rye Village. 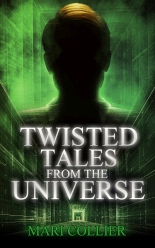 Now available for your Kindle and in paperback. Visit the Northwest and the people who live, work, and exist there. 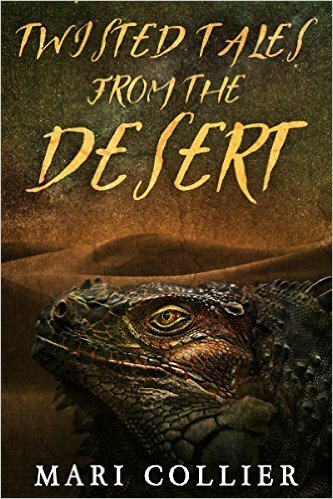 You'll find humor, murder, mystery, ancient deities, the unknown, dark elves, vampires, and a brief visit to the future where other beings inhabit our Earth. Some will struggle to survive, others live one to help other people, and one couple tries to remodel an old, neglected house. Be careful the Unknown lives there. contents requires the advance written permission of Marilyn J. Collier.